Can a Herpes Infection Really Cause Blindness? 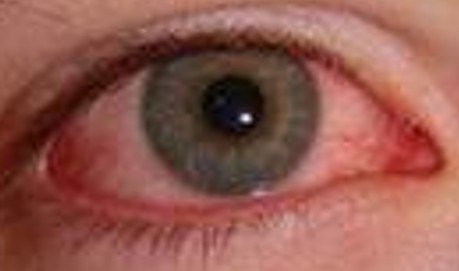 Herpes Simplex Keratitis Eye Infection Herpes Simplex Keratitis or simply herpes keratitis (sometimes referred to as dendritic keratitis) is an infection of the cornea of the eye by the herpes simplex virus type 1 (HSV1), which can cause serious vision loss including blindness. It is estimated that 80% of the U.S. population harbors this virus! At least two thirds of those infected do not have outbreaks and recurrences or they are too mild to notice.